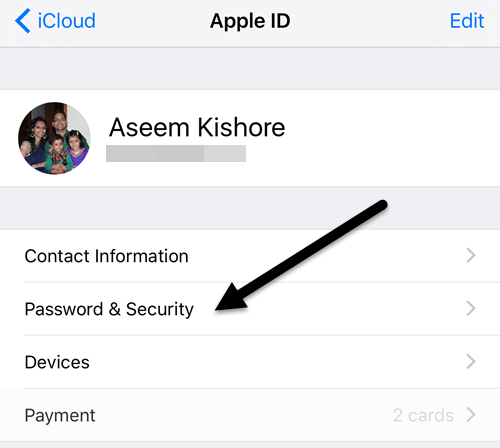 I recently wrote a post on how to enable Apple’s new two-factor authentication feature for an iCloud account, which will make your account much more secure. In addition, even if you had two-step verification turned on, two-factor authentication is even more secure. Normally, when you sign into iCloud on a new device like your iPhone or iPad, a message will pop up on your trusted devices asking if you want to allow the login. If you grant access, you’ll then get a verification code which has to be entered on the new device. This all works great when you get the verification code automatically, but sometimes you have to generate the code yourself. I found this out myself when I was trying to log into my iTunes Store account from my third generation Apple TV. Instead of giving me a dialog where I could enter the verification code separately, it asked me to type in my password, followed by the verification code. Unfortunately, I didn’t see any message popup on any of my trusted devices. I then found out that I had to generate the code manually from one of my trusted devices. In this post, I’ll show you how to generate a verification code using iOS. The device obviously has to be signed into the same iCloud account that you are trying to log into elsewhere. As with just about everything setting that can be changed in iOS, you need to open the Settings app first. Scroll down a little bit until you see iCloud and tap on that. 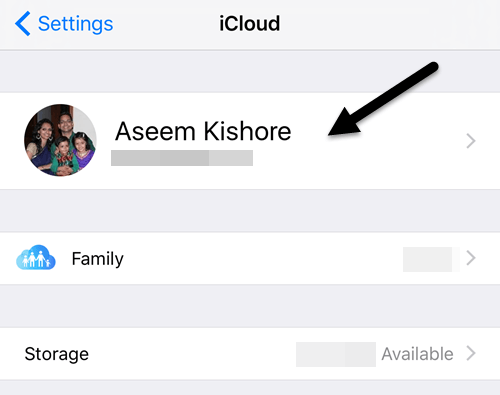 At the top, you’ll see your name along with other iCloud details like family members, storage usage, etc. You want to tap on your name. At this point, you may have to enter your iCloud password in order to continue. On the next screen, you only have a couple of options like viewing contact information, your devices and payment methods. We want to tap on Password & Security. Finally, we get to the screen where we can actually generate the code! Personally, I think the feature should be in a more obvious location so that it’s easier to find for users. 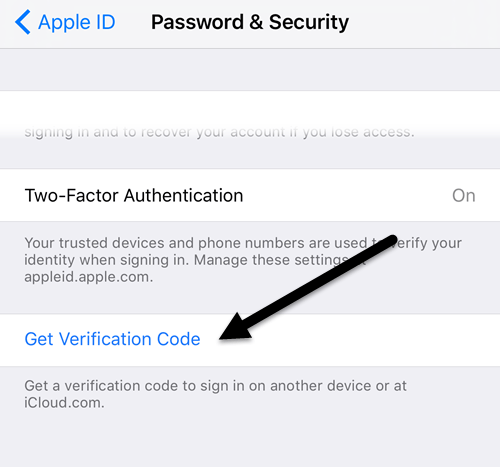 Tapping on Get Verification Code will instantly bring up a six-digit code that you can type onto the Apple device you are trying to log into. 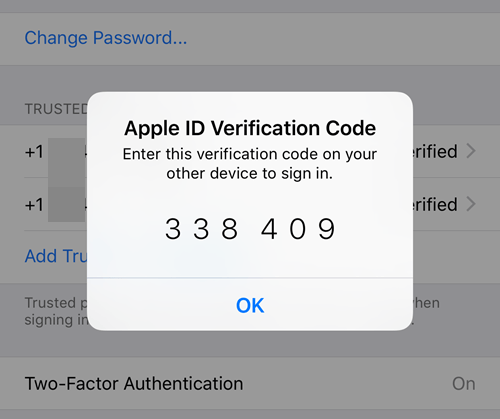 Now according to Apple’s website, you won’t have to reenter this verification code on that particular device unless you sign out, erase the device or change your password. So far, I haven’t had to enter the code again after a month with two-factor turned on. If you login from the website via iCloud.com, you’ll have to check the Trust this browser box so that you don’t have to keep entering the code before logging in there. Again, you probably won’t have to use this feature unless you have Apple devices running older software. It’s best to keep all your Apple devices up-to-date so that they are all benefiting from the latest security features. If you have a question, post a comment. Enjoy!